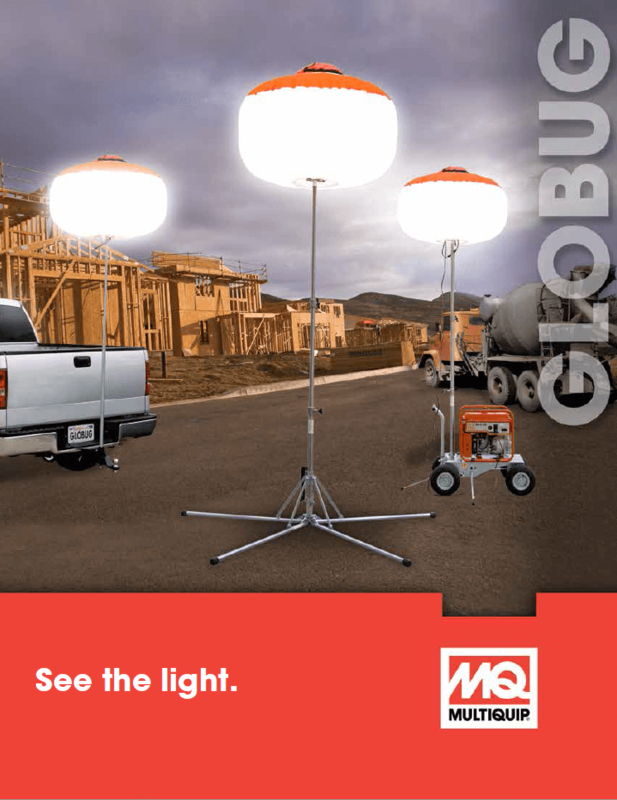 Multiquip Lighting Solutions | Gonneville Inc. The GloBug Balloon is washable and repairable. It has a perfect elliptical shape and meets DOT diffused lighting specifications. The lamp has an integrated electric ballast inside its housing. 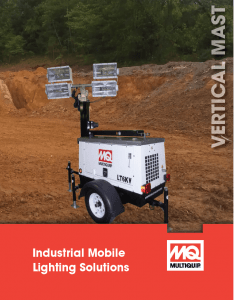 All systems are quick and easy to setup and transport. 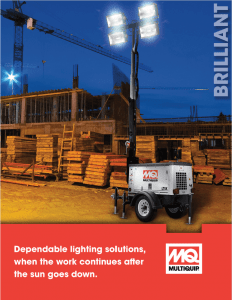 Why Choose LED Lighting? LED lights have a 40x greater life expectancy. They are impact resistant, offer superior color rendering properties and the instant-on feature means there is no delay during re-strike. LEDs have 85% less CO2 emissions and give off 63% less heat as compared to Metal Halide lamps. 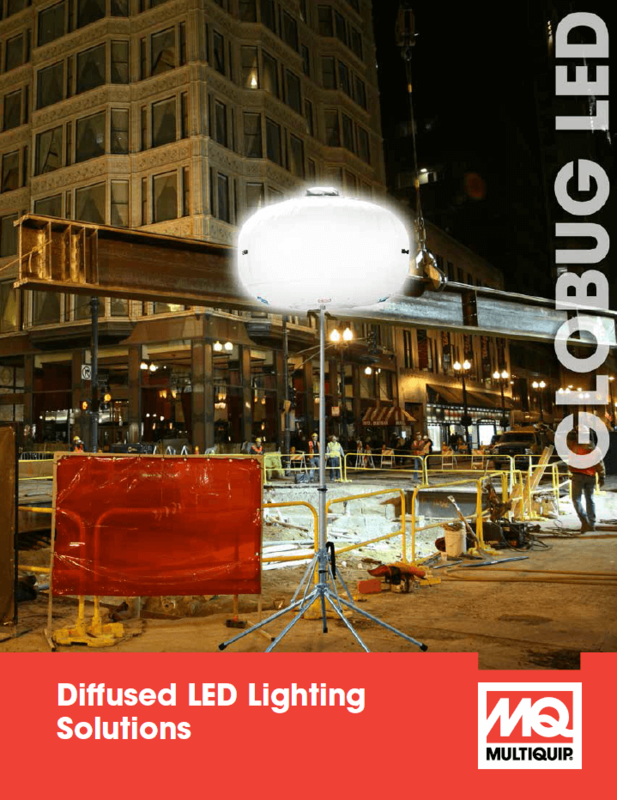 When paired with the GloBug Balloon, they give out 360° of diffused lighting. 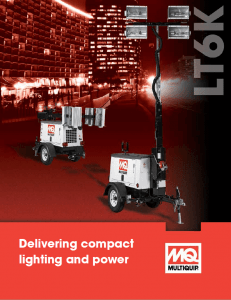 Multiquip’s LT6K Series light tower is compact, mobile, and combines features to tackle the demanding requirements found in construction, mining, energy exploration,security and event applications. 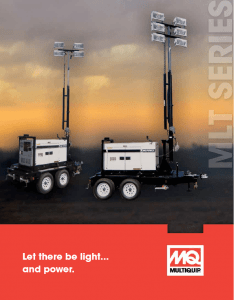 The Modular Light Tower (MLT) Series represent a unique and value-added Lighting Solutions and power generating product that offers the trusted performance of MQ Power generators, MQ Power generator/welders, rugged DOT Certified Trailer assemblies, and powerful Metal Halide lighting systems.